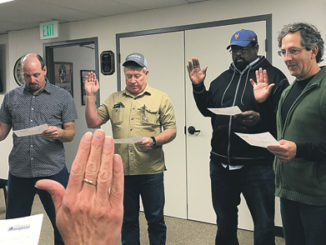 MEEKER | There are five candidates for three four-year terms on the Meeker Town Board of Trustees: incumbent Scott Creecy and challengers Joe Beck, Bob Dorsett, Pat Turner and Scott Nielsen. The board has six members plus a mayor, with three trustees and the mayor up for election every two years. Mayor Regas Halandras is running unopposed for a third two-year term. (His interview was published last week.) The hold-over trustees whose terms will expire in 2020 are Travis Day, Wendy Gutierrez and Melissa Kindall. Current trustees Rodney Gerloff and Danny Conrado are term-limited. The Meeker Chamber of Commerce has scheduled a public forum for the five candidates on March 13 at 6 p.m. at the Fairfield Center. Candidates will each give a brief presentation and answer questions provided to them before the forum. Mail ballots are expected to go out March 14 and must be returned by April 3. Q. Please write a brief bio: how long in Meeker; work; experience related to town council service. Beck: I moved here with my wife and two sons in August 2006, coming in at the tail end of the boom. I was working for Exxon at the time doing fracs and completion work. Two years later, I began my career with BLM as a petroleum engineering technician providing oversight and enforcement of federal law in the oil and gas industry. You could say we moved here for a job but stuck around because this is the community where we wanted to raise our children. Creecy: I’ve lived in Meeker for 10 years, six of those in town. I have worked for Elk Creek Ranch that entire time. 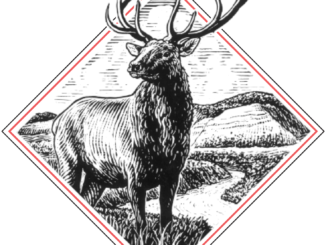 I am currently a trustee on the town board, and I sit on the board for the FACS advisory board, am a participant in the Main Street program and am a former board member of Meeker Education Foundation. Dorsett: I am a Colorado native and have lived in Meeker for 35 years. I came here as a family practice physician but later transitioned to full-time teaching. Early in my career I served briefly on the town planning board and I serve presently on the Meeker School Board. Nielsen: I was born in Meeker and graduated from Meeker High School. I joined the Army and left the area until 1993 when I returned to Meeker. I returned to Meeker for the hunting and fishing opportunities. In 1994 I started working for Rio Blanco County Road and Bridge Dept. where I tried to be a good public servant and save taxpayers’ dollars. Turner: I was born and raised in Glenwood Springs. My wife and I and our four children moved to Meeker in 1998. I ministered in a church here from 1998-2011 and worked other jobs to make ends meet. Initially, I worked at the gravel pit and then went into building trades. In 2005, I started my own construction business. In 2012, we moved back to the Rifle area and I worked for Pepsi as a driver and then sales representative until 2016. In 2016, our family had the opportunity to buy the Herald Times, which we did, so we moved back to Meeker. Q. What is the primary reason you’re interested in being a town council member and what is your definition of public service? Beck: After the boom started to fade and work was drying up, our family was faced with the decision of following the work or staying to try and make it work here. My wife and I based our decision on what would be best for our children. We found in Meeker a community of hard working, down to earth people with the core values and principles that we wanted to instill in our boys. I guess my definition of public service is pretty simple: listen to and represent the people you serve and if it isn’t broke, don’t try to fix it. Creecy: I’m running again to see things through, to stay informed and to continue to support my community. My definition of public service is using my time to hopefully aid my fellow people in my community. Dorsett: Public service is a person’s best effort to foster public safety and welfare. Public service, I believe, includes thoughtful measures to inform the public, invite open debate, and to protect the community heritage. Meeker is fortunate to have dedicated public servants on its town council, administration, staff and crews. I see a number of issues confronting the Town, and I hope this election generates useful discussion to help resolve them. Our regional environment is deteriorating, as reflected, particularly, in the poor health of the White River. That concern relates, also, to the question of economic growth. Do we want to stimulate greater tourist visitation, which would further impact the river and the Flat Tops, or do we want to try to protect our outdoor heritage? Nielsen: In the last couple of years there have been a couple of issues (the Outdoor Adventure Center and establishing an Urban Renewal Authority) that I’m not sure that I agree with. Then I read an article in the local paper that said to “get engaged in local politics.” So I decided that I should run for town council and if nothing else I could at least be on the front row of some of the decisions being made. My definition of public service is to be a good steward of the money paid by taxpayers. Quality of life is most important. That means security, as in a well equipped police force, comfort, smooth streets, snow being plowed and clean running water which all contribute to quality of life. Turner: I’m interested because I love our town and want to do what I can to make it a better place to live for everyone. Public service is doing our best to serve needs of the people individually while being diligent to make decisions that are best for the majority. Practically, it’s helping people when you can with what you currently have. Q. What are a few of the most concerning issues within the community you see the council needing to address? Beck: During my tenure at the BLM I have seen the revenue that comes out of our county and very little of it returned. Our community lives within our means all the while pouring millions into the coffers of the Front Range where we fund programs that are not in our best interest and benefit rural communities little. Creecy: The government’s role in economic development, is more of a “should we or should we not,” and if we should, to what extent. Dorsett: I see three general issues of importance: effective governance, environment and our local economy. With regard to the first, I would encourage increased public participation and awareness, including disseminated information and public meetings early in any consideration of major development projects and followed by frequent public updates. I will encourage the council to base policy decisions on the best available evidence, not just marketing projections. Certain public safety issues, such as safe highway crossings for children, deserve immediate attention, and the town should develop a visionary strategic plan for the long term. Our environment is at risk. We must recognize that we are a gateway to the original and perhaps last remaining relatively untrammeled wilderness in Colorado. It is our responsibility to help protect it. An immediate problem is the health of the White River, about which I make further comments below. More generally, and over the long term, the town should plan for a changing environment. Snowpack and runoff are decreasing, and we can expect greater variability in temperature and precipitation and increasingly long fire seasons with attendant deterioration of air quality, habitat and wildlife. Those will affect our agricultural base, tourism and indirectly the viability of the fossil fuels industries. Nielsen: There are issues currently being addressed by the council like the recycling center, the animal control building and town shop that need completed. Another issue is trying to entice new businesses to come to Meeker and how best to do that with the least amount of money. As I mentioned above, I didn’t agree with the Adventure Center idea. I didn’t think the town should loan $2-3 million for a venture that I, as an outdoor enthusiast, thought would fail. If it were to fail, the town would own a very large, expensive, empty building. As for the URA, I think it was established without a clear objective and for now, is not needed. It is almost impossible for the taxpayers to access information on what the URA is currently doing. Turner: We need to continue to address economic development and what we can do to make our community stronger financially: housing, wages, resident retention, lack of daycare providers, etc. Meeker is a relatively safe place to live and a great place to raise kids. We need to talk about how to keep that as a legacy. Q. Regarding recreational marijuana: do you believe this is an issue that should be decided by ballot question or town ordinance/resolution by the board of trustees? What are the benefits and/or downsides you see to allowing marijuana businesses in Meeker? Beck: If the community decides we would like to have a marijuana dispensary, I don’t think the board should stand in the way of the people. We are elected to represent the people of this community, not to dictate our personal desires as law or policy. With that said, I have witnessed the beneficial use of marijuana with a member of my family who had seizures and other maladies that were aided by the use of marijuana. We had to drive to Silt to get the oils, which was inconvenient at the time, but I wouldn’t try to make the town of Meeker allow marijuana sales just for my convenience. If the town decides to allow marijuana sales and a business wants to set up shop, we should not stand in the way nor should we spend taxpayer dollars to subsidize the business. Creecy: I feel like it’s a non-issue at this point. It hasn’t come back before the board. 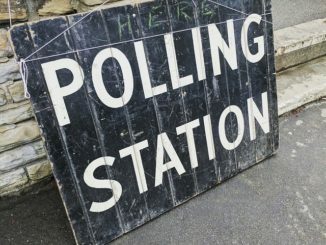 Should it go to a vote of the people? Yes, when it is presented by a citizen. I do think town staff should explore the possibility, so that if it is presented it’s not a knee-jerk reaction. Dorsett: The medical evidence is clear. Marijuana use is a health risk, especially for children and adolescents. I would oppose efforts to bring retail or marijuana grow facilities to town. Nielsen: Recreational marijuana is and will be a divisive issue. I believe that it should go to a ballot of local taxpayers. The downside is it will most likely bring increased social problems like increased crime and health care. The upside is it could bring more tax dollars. I don’t think it will bring tourist dollars due to the fact that Rio Blanco County is, or will soon be, surrounded by pot shops. Maybe growing operations or commercial hemp facility would be positive things to look at. Marijuana is still illegal nationally and if we were to build an economy around it and the federal government was to flex their muscles we’d lose again. Turner: The ballot would probably be best to represent the desires of the majority. But if that’s impractical for some reason, then I think the board should do their best to represent the views of the people. Some of the business owners I’ve talked to are opposed to a store in the downtown core, saying it would negatively affect their businesses. Others are in favor, if it’s elsewhere in town, saying that it would help business. Many people I’ve talked to have very strong opinions on this subject, but not many seem to be well informed. So, I think we need to have a more in-depth discussion and decide what is best for our community in the long run. Downsides, it stinks—literally—so communities that have made it work have had to wrestle with that issue. Benefits would be financial. The people who use it do so anyway and leave town to buy it, so we lose any potential tax revenue on that as well as everything else they buy while they are out of town and that hurts our local economy. Q. Regarding economic development, what do you believe is the role of town government? For example: hiring consultants, promoting local business development and entrepreneurship, or what? Beck: I think the role of government in economic development is to stay out of the way. Having witnessed the boom and bust cycle of the oil and gas industry, we see what businesses endure here. According to the census numbers in 1980 vs. 2010, we lost four people with fluctuations in-between. We have to temper growth with infrastructure. We could have a bunch of new stores show up tomorrow, but if there is no support from the community, they (the stores) will fail. Creecy: I think we should constantly be supporting economic development. I do believe in bringing in an outside person because if economic development was that easy we’d already be doing it. I don’t see a problem hiring a professional service to aid us. Dorsett: It is a mistake to recruit outside corporate managers to stimulate the local economy. Rather, the Town should create conditions for core growth built on the skills and interests of people already in the community while protecting our community values. Broadband provides a springboard for web-based entrepreneurs including software developers, database systems, and small-scale manufacturing, e.g. of outdoor products. The town should work with our schools and community college to develop the necessary skills for a web economy; the greatest resource we have is in our own people. The town should review the purpose and composition of the Urban Renewal Authority (URA) in order to increase citizen representation and to make sure any public funds are directed to improve public services, not private development. Most citizens of Meeker choose to live here because we appreciate the quiet, the outdoors and the marvelous community spirit. The citizens of Meeker have generated a unique culture and heritage including the sheep dog trials, Range Call, Plein Air Art and countless other events large and small. Our community is exceptional in reaching out to help those in need. Let’s plan wisely to retain those traditions and values. Nielsen: I believe that the town government should explore all options for increasing economic development. I believe hiring consultants and promoting Meeker to the outside world are great ideas. I don’t think that tax dollars should be spent to enrich any individual or company. Possible tax credits or other incentives might work. Turner: The local government needs to make sure the town gets taken care of and continue to work to make it an excellent place to live and do business. We have lots of good ideas and intelligent people locally and we should involve them as much as possible. As well, outside resources can provide funding, help us avoid pitfalls and streamline the process. The town should do what it can to help local businesses with the understanding that strong local businesses help the town. Q. Do you feel the Town should be actively involved in helping solve the concerns about water quality and algae bloom issues in the White River? How? Beck: This community should be concerned with the quality of the water and algae bloom issues but ultimately it should be investigated by experts with the state and once a determination is made, the parties that created the problem should be responsible for fixing it. Creecy: I feel like it is a responsibility for the town because it is one of our economic drivers. My job is supported by that river. I see the difference and hear the complaints from people who put in significant time fishing on the river. Dorsett: I have helped monitor the White River for over 15 years with the River Watch program. Changing flow regimes due to climate change and development along the river upstream from Town are causing problems. Algae growth is only the most obvious sign of trouble. The Town should collaborate with the County and with landowners to effect remediation plans including cessation of insecticide spraying along the river and elimination of excess nutrients entering the river from defective septic systems, pond and field runoff and fish feeding. In particular, the town must protect its municipal water supply, which is sourced from the river. Nielsen: As a fisherman and a person that drinks town water, the algae in the river is a concern to me. But I think that the EPA or state water quality is better equipped to resolve the issue. If we can determine the cause of the algae and we have a definite remedy, we should do our best to clean the river up. I would not like to spend a lot of money on possible solutions. If the cost is great we should look into grants or federal money for help to clean it up. Turner: Yes, the river is one of our greatest assets. We need to be involved in the discussion, share information and have our voices heard in regard to any proposed solutions.